Welcome to AAERT's list of approved schools for Digital Court Reporting and Transcribing. While this list is just starting we will be adding more approved schools in the future. If you are interested to get started with the AAERT Approved Schools program please click here for appropriate links to review. Allegiant Digital Reporting Program the PERFECT curriculum for court reporting firms to transition stenographers into Electronic Reporters or begin a new career as a Digital Court Reporter. BlueLedge, a legal classroom, is a worldwide digital court reporter and legal transcriptionist training institute. Our goal is to make BlueLedge the premiere training choice for people interested in a career within the litigation services industry by providing the necessary skills and education that the legal profession demands. Whether you are a student just starting out, a professional looking to improve skills, a person investigating a career change, or a firm owner or manager seeking to improve your team’s productivity, BlueLedge can help you reach your goals faster. For more information go to our website or email us at info@blueledge.com. It is the goal of Mastering Transcription's program to provide professional training to those desiring to become law enforcement transcriptionists. Becoming part of the exciting field of law enforcement as a support service provider of speech-to-text solutions is not a job; it is a career! 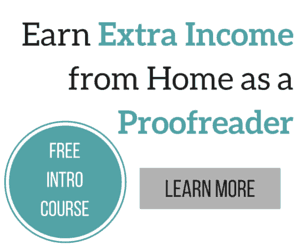 Proofread Anywhere helps proofreaders earn extra income from anywhere in the world… even if you’re starting from scratch. Finally: a truly all-inclusive online education system for legal transcription.